About 50 miles north of Jackson Wyoming off Hwy 26. Canon EOS 5D Mark III, EF500mm f/4L IS USM, f/7.1, 1/2000 sec, ISO 320, manual exposure, Sachler Tripod, Sachler fluid head. 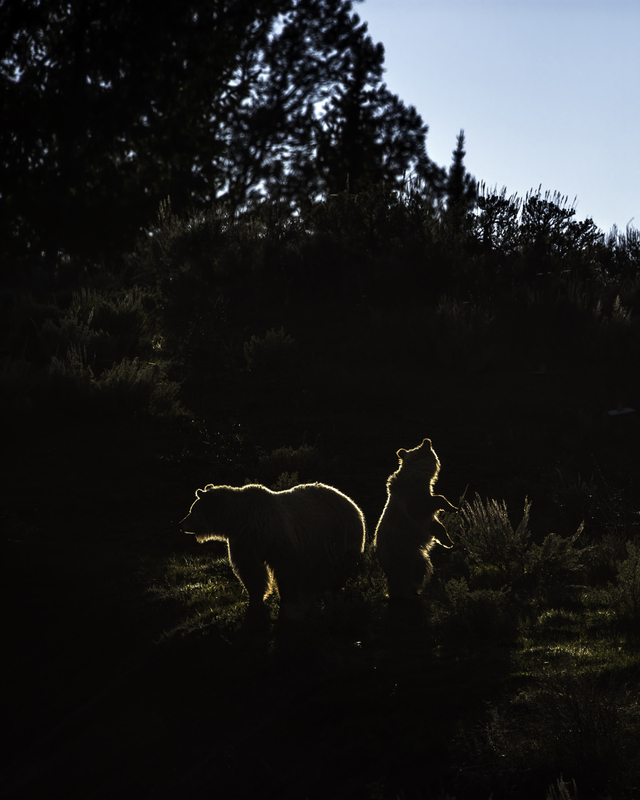 I was cruising a bear zone in Jackson Hole and I came across a dozen cars on the side of the road, these photo photographers weren't shooting. I stopped and asked what I had missed, the reply; Oh they are right over there, I don't like backlight. upon seeing them I became ecstatic as I love back light and I went to work.